Immaculate and rare one level home feels like a retreat sitting on a manicured shy half acre private lot. Custom U shaped Rambler wraps around an entertaining size back patio. Absolutely lovely Master suite has an oversized shower plus a walk in closet and private access to a fenced dog run. Three additional bedrooms and a room off the Master great for an office. A media-rec room highlights exposed beams contrasting with the tall cathedral ceilings ready for large gatherings or game days with a full wet bar. Desirable patio offers a true Mason fireplace for cozy evenings overlooking manicured yard large enough for a pool or sport court. Generous floor plan accommodates additional family or in-home care. This home beams with pride of ownership & move in condition! Want to learn more about this property? 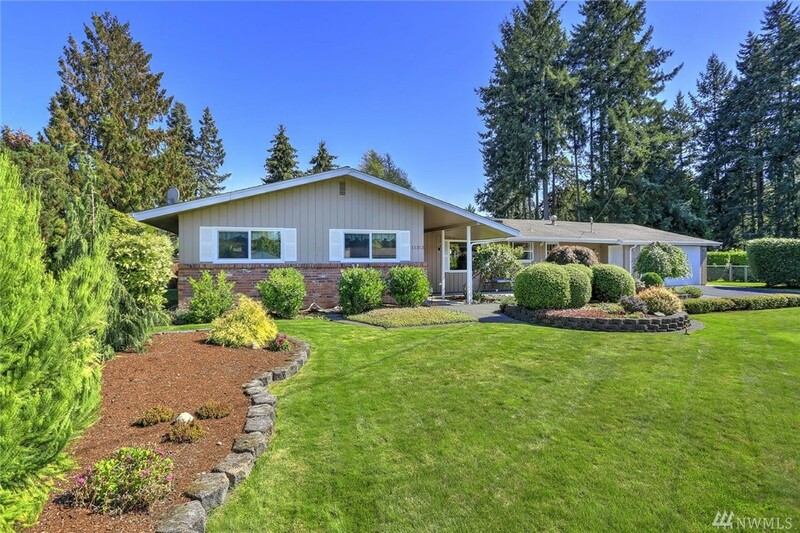 Call/text Sloan Hunter at 253-988-0885 for more information or a private tour!